Metro-North At Risk for Falling Behind on Safety Technologies? Metro-North At Risk for Falling Behind on Safety Technology? The federal agency tasked with overseeing railroads is concerned that Metro-North may not meet their year’s end deadline for installing positive train control, a potentially life-saving safety technology. 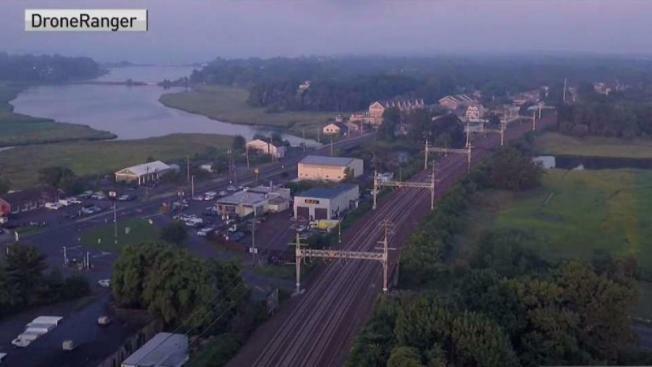 A major railroad connecting Connecticut to New York may not be upgrading fast enough to meet new safety standards. See the original warning letter and Metro-North's response below. That’s disappointing to Renee Soderberg of Wethersfield, who frequently rides Metro-North. “You know we say you have to have something done by a deadline but we wait until the 10th hour,” she said. Positive train control, known as PTC, is a technology that can automatically slow or stop trains, potentially preventing collisions and derailments like one involving a speeding Metro-North train that killed four people in 2013. PTC has been available for years but many railroads have been slow to adopt the technology. National Transportation Safety Board chairman Robert Sumwalt heads the agency that investigates these kinds of crashes, and has recommended railroads have this technology for years. “Any delay in implementing positive train control from a safety perspective, is unacceptable,“ said Sumwalt. The Federal Railroad Administration, or FRA, is the agency overseeing the implementation of this life saving technology on trains across the country. The railroad has until December 31 of this year to have PTC installed, or at least meet milestones necessary to apply for a two-year extension. Metro-North’s most recent quarterly PTC report shows it making progress, and did not prompt an additional warning letter. But an FRA spokesman told NBC Connecticut Investigates that Metro-North is “still at-risk” unless it continues to make progress installing the safety systems. Data on the FRA’s website shows that while Metro-North did not get the most recent warning letter, it just missed the threshold for another at risk alert. The dozen railroads that got warning letters had 85 percent or less of their PTC hardware installed. Metro-North had 86 percent complete. Click for more information on the status of other railroads. Leaders from Metro-North declined an on-camera interview. A spokesman said the railroad is further along with PTC than the FRA believes, because Metro-North uses a different method to chart its progress. The spokesman added that the railroad will have its PTC pilot route in operation by December and that it’s nearing a goal of having PTC installed on a majority of its other tracks and locomotives by year’s end, over and above what the feds require to qualify for an extension. That’s a lofty goal though, based on what Metro-North Railroad president Catherine Rinaldi said at a June meeting. The state’s newest passenger railroad, the Hartford Line, says all of its trains should be using PTC soon. “Our new locomotives that we’ve taken delivery of have the latest hardware and software that will enable them for PTC at the end of the year,” said Rich Andrewski, the chief of public transportation for Connecticut Department of Transportation. Most of the track the Hartford Line uses is owned by Amtrak, which said it expects PTC to be installed and operating on all the tracks it controls by year’s end. The FRA said Amtrak has had an earlier version of PTC running on its Northeast Corridor route since 2004. The agency said Amtrak has made significant progress installing the newer version of PTC on its Northeast Corridor route, but across its whole network it “still has work to do” to have it in place by year’s end. Amtrak did not provide an on-camera interview, but through a spokesperson, said it will decide on a case by case basis on if it will use its locomotives on tracks that aren’t PTC ready, and if it will allow railroads that aren’t PTC ready to use its tracks.